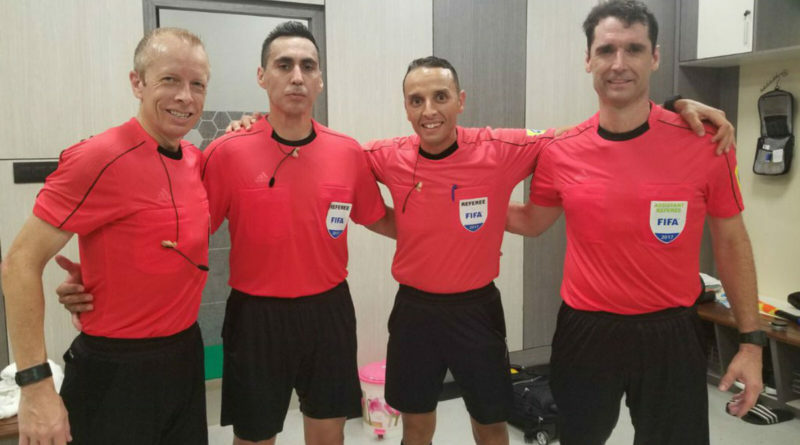 The FIFA Under-17 World Cup Group games and Last 16 ties are complete, but the tournament isn’t over for PRO’s officiating crew of Jair Marrufo, Corey Rockwell and Frank Anderson. The trio have been selected for a third game of the tournament, the quarter-final tie between soccer powerhouses Brazil and Germany, which takes place on Sunday October 22, at 11:30AM ET. The officials have already overseen one Germany game — a 4-0 loss to Iran, which resulted in the Germans finishing second in their group. Brazil sailed through with a one hundred percent record, and carried that on with a 3-0 win over Honduras in the last 16.